Seducing Mr. Perfect, alternatively known as Seducing Mr. Robin, is a South Korean film, released on December 7, 2006. It was written and directed by Sang-woo Kim and stars Uhm Jung-hwa as Min Joon and Daniel Henney as Robin Heiden. My Father is a 2007 South Korean film. The film, which is based on a true story, is about an adopted son who is searching for his biological parents in South Korea. During his search he meets his real father, a condemned murderer on death row. Daniel Henney plays the lead role of James, who works as an army captain in the United States Forces Korea. He asks questions of why his father is on death row and finds out things that he always wanted to know. Then he finds more and more truths unravel about his father and his life. In television, he is known for starring in the Korean dramas Spring Waltz and My Lovely Sam Soon as well as US television series Hawaii Five-0 and Criminal Minds: Beyond Borders . He has joined the regular cast of Criminal Minds for its thirteenth season. Spring Waltz is a 2006 South Korean television series starring Seo Do-young, Han Hyo-joo, Daniel Henney, and Lee So-yeon. It aired on KBS2 from March 6 to May 16, 2006 on Mondays and Tuesdays at 21:55 for 20 episodes. My Lovely Sam-soon is a South Korean television series based on the internet novel of the same title by Ji Soo-hyun, which was published on March 9, 2004. Touted as the Korean version of Bridget Jones's Diary, it starred Kim Sun-a, Hyun Bin, Jung Ryeo-won and Daniel Henney. The series aired on MBC from June 1 to July 21, 2005 on Wednesdays and Thursdays at 21:55 for 16 episodes. Carson City is a city in Montcalm County of the U.S. state of Michigan. The population was 1,093 at the 2010 census. Korean Americans are Americans of Korean heritage or descent, mostly from South Korea, and with a very small minority from North Korea, China, Japan, and the Post-Soviet states. The Korean American community comprises about 0.6% of the United States population, or about 1.8 million people, and is the fifth largest Asian American subgroup, after the Chinese American, Filipino American, Indian American, and Vietnamese American communities. The U.S. is home to the second largest Korean diaspora community in the world after the People's Republic of China. Henny in an LG Border Wireless LED TV advertisement, September 2009. Henny in an LG advertisement, June 2009. Despite speaking no Korean,  Henney became a household name through the South Korean hit TV drama, My Lovely Sam Soon , aka My Name is Kim Sam Soon. He played the role of Dr. Henry Kim, a surgeon who is devotedly in love with Hee-jin (played by Jung Ryeo-won). Sam Soon was the most popular Korean drama in 2005; although Henney was starring as the supporting actor, his performance and good looks were widely noticed. The Korean language is an East Asian language spoken by about 80 million people. It is a member of the Koreanic language family and is the official and national language of both Koreas: North Korea and South Korea, with different standardized official forms used in each territory. It is also one of the two official languages in the Yanbian Korean Autonomous Prefecture and Changbai Korean Autonomous County of Jilin province, China. Historical and modern linguists classify Korean as a language isolate; however, it does have a few extinct relatives, which together with Korean itself and the Jeju language form the Koreanic language family. This implies that Korean is not an isolate, but a member of a micro-family. The idea that Korean belongs to the controversial Altaic language family is discredited in academic research. Korean is agglutinative in its morphology and SOV in its syntax. Jung Ryeo-won is a Korean Australian actress. She began her entertainment career as a singer in the now-defunct girl group Chakra, and first rose to fame in the hit television series My Name Is Kim Sam-soon. She is also known for her roles in Two Faces of My Girlfriend, Castaway on the Moon, and History of a Salaryman. Chicago, officially the City of Chicago, is the most populous city in Illinois and the third most populous city in the United States. With an estimated population of 2,716,450 (2017), it is the most populous city in the Midwestern United States. Chicago is the county seat of Cook County, the second most populous county in the United States, and the principal city of the Chicago metropolitan area, which is often referred to as "Chicagoland." The Chicago metropolitan area, at nearly 10 million people, is the third-largest in the United States; the fourth largest in North America ; and the third largest metropolitan area in the world by land area. Henney starred in his first feature film in Korea, Seducing Mr. Perfect. His second film, My Father, won multiple awards in South Korea and Henney became the first foreigner to sweep all the major cinema awards in the Best New Actor category. In 2009, he portrayed Agent Zero in the film X-Men Origins: Wolverine . In the fall season of 2009, he played "Dr. David Lee" in the CBS television drama Three Rivers . Since 2012, Henney has appeared in several American TV series. In 2015, he starred as Special Agent Matt Simmons in the American television series Criminal Minds: Beyond Borders , a spin-off of Criminal Minds . NCIS: Los Angeles NCIS Agent Paul Angelo Episode: "Three Hearts"
Daniel Dae Hyun Kim is a Korean-American actor, voice actor, and producer. He is known for his roles as Jin-Soo Kwon in Lost, Chin Ho Kellyin Hawaii Five-0, Gavin Park in Angel and Johnny Gat in the Saints Row series of video games. He also runs a production company called 3AD, which is currently producing the television series The Good Doctor. Moon So-ri is a South Korean actress, film director and screenwriter. She is best known for her acclaimed leading roles in Oasis (2002) and A Good Lawyer's Wife (2003). Kim Tae-hee is a South Korean actress. Considered one of South Korea's most beautiful women, she is best known for her roles in Korean dramas such as Stairway to Heaven (2003), Love Story in Harvard (2004), Iris (2009), My Princess (2011), and Yong-pal (2015). Lee Dong-wook is a South Korean actor and model. He is best known for his leading roles in the television dramas My Girl (2005), Scent of a Woman (2011), Hotel King (2014), Guardian: The Lonely and Great God (2016–2017), Life (2018) and Touch Your Heart (2019). Kim Sun-a is a South Korean actress. She is best known for her titular role as Kim Sam-soon in the popular television series My Lovely Sam Soon (2005). Other notable series include City Hall (2009), Scent of a Woman (2011),The Lady in Dignity (2017) and Should We Kiss First? (2018). Cha Seung-won is a South Korean actor, who began his career as an in-demand fashion model in the 1990s. Cha achieved stardom through the hit comedy films Kick the Moon (2001), Jail Breakers (2002), My Teacher, Mr. Kim (2003), and Ghost House (2004). After proving his versatility in other genres, notably in the period thriller Blood Rain (2005) and the melodrama My Son (2007), Cha's popularity continued with the television series Bodyguard (2003), City Hall (2009), The Greatest Love (2011), and Hwayugi (2017). Kim Ji-hoon is a South Korean actor. He is best known for his romantic comedies on television such as The Golden Age of Daughters-in-Law (2007), Love Marriage, Stars Falling from the Sky, and My Cute Guys (2012). In 2010, he also appeared in the film Natalie, and cable mystery series Unsolved. Kim Kang-woo is a South Korean actor. He is best known from his roles in The Taste of Money and The Missing. Choi Soo-young, better known by her mononym Sooyoung, is a South Korean singer and actress. She was a member of the short-lived Korean-Japanese singing duo, Route θ, during 2002 in Japan. After returning to South Korea in 2004, Sooyoung eventually became a member of girl group Girls' Generation in 2007. The group went on to become one of the best-selling artists in South Korea and one of South Korea's most popular girl groups worldwide. Apart from her group's activities, Sooyoung has also starred in various television dramas such as The Third Hospital (2012), Dating Agency: Cyrano (2013), My Spring Days (2014), Squad 38 (2016), and Man in the Kitchen (2017–2018). Kim Sae-ron is a South Korean actress. She began her career when she was nine years old and became a popular child star through the films A Brand New Life (2009) and The Man From Nowhere (2010). As Kim reached her teenage years, she was cast in more leading roles, notably in the film A Girl at My Door (2014). She has also starred in television drama series, including Listen to My Heart (2011), The Queen's Classroom (2013) and Hi! School-Love On (2014). Her first adult lead role was in the television drama Mirror of the Witch (2016). Yeo Jin-goo is a South Korean actor. Yeo began his career as child actor, debuting in the film Sad Movie (2005). Nicknamed "Nation's Little Brother", he went on to play the younger version of the lead roles in movies and television dramas such as A Frozen Flower (2008), Giant (2010), Moon Embracing the Sun (2012), and Missing You (2012). He is known for playing the title character in action thriller Hwayi: A Monster Boy (2013), for which he won Best New Actor at the Blue Dragon Film Awards. Sung Joon is a South Korean actor and model. He became best known for his leading roles in the television series Flower Band (2012), Can We Get Married? (2012), I Need Romance 3 (2014), High Society (2015) and Madame Antoine: The Love Therapist (2016). He also appeared in the films Dangerously Excited (2012), Horror Stories 2 (2013), Pluto (2013) and The Villainess (2017). Kim Nam-joo is a South Korean actress. Kim rose to stardom in the 1990s in television series such as Model, The Boss and Her House. After 2001, Kim went into semi-retirement, only appearing in commercials, particularly after she got married to actor Kim Seung-woo in 2005 and they started a family. Then in 2009, she made her comeback with Queen of Housewives, written by Park Ji-eun. Housewives was a ratings hit, and Kim went on to collaborate with Park on Queen of Reversals (2010) and top-rated series My Husband Got a Family, which established Kim's continuing star status. In 2018, Kim received critical acclaim for her role in the series Misty. Lee Soo-kyung is a South Korean actress. Han Sang-jin is a South Korean actor. He is best known for starring in the television dramas Behind the White Tower (2007), Yi San (2007), My Too Perfect Sons (2009), Marry Me, Please (2010), and The King's Doctor (2012). Kang Chan-hee, also known by his stage name Chani, is a South Korean actor and singer. He began his career as a child actor, notably appearing as “Mini” Yoochun in TVXQ's "Balloons" music video and in the television dramas Listen to My Heart (2011), The Innocent Man (2012), The Queen's Classroom (2013), Interactive Drama Click Your Heart (2016), and high-rated drama Sky Castle (2018). In 2015, he was a part of pre-debut team, “Neoz School”, under FNC Entertainment as a member of the first group called NEOZ. He debuted in October 2016 with the group name SF9 and the single "Fanfare". Kim Min-jae, also known as Real.be, is a South Korean actor and rapper under Stone Music Entertainment. He has featured in television series Second 20s (2015), My First Time (2015), Dr. Romantic (2016), Guardian: The Lonely and Great God (2016) and Tempted (2018). He was also a contestant in rap competition Show Me the Money 4 in 2015. Matthew Simmons is a fictional character on the CBS crime drama Criminal Minds: Beyond Borders and Criminal Minds, portrayed by Daniel Henney. ↑ "Daniel Henney's Mother Travels Back to Her Roots" . Retrieved November 7, 2016. ↑ Lo, Ricky. "Daniel Henney: From Kim Sam Soon to Hawaii Five-O" . Retrieved November 7, 2016. ↑ "A most unlikely Seoul sensation". Los Angeles Times . June 17, 2007. ↑ "Prep Basketball: Carson City". Lansing State Journal . January 10, 1998. p. 18. ↑ (in Korean) 다니엘 헤니 “모델로 활약했지만 여전히 나의 꿈은 연기자”. News.naver.com (February 24, 2006). Retrieved on April 27, 2014. ↑ 다니엘 헤니. 10asia.co.kr. Retrieved on April 27, 2014. ↑ "wftrok.com". Archived from the original on January 10, 2015. Retrieved November 7, 2016. ↑ (in Korean) 다니엘 헤니 "모델은 순간예술, 배우는 인생을 연기". News.naver.com (July 4, 2005). Retrieved on April 27, 2014. ↑ "Actor Daniel Henney Caught in Academic Record Scandal '". Newszone. The Korea Times. September 2, 2007. Archived from the original on December 3, 2013. Retrieved March 2, 2012. ↑ Daniel Henney hops aboard "Domangja" cast.Asiae June 21, 2010 Retrieved June 24, 2010. ↑ DNA Models. DNA Models. Retrieved on April 27, 2014. ↑ "Criminal Minds Adds Beyond Borders ' Daniel Henney as Series Regular". TVLine.com. Retrieved June 20, 2017. ↑ Siegel, Tatiana (February 21, 2008). "Dominic Monaghan joins 'Wolverine'". Variety. ↑ Keck, William (October 2, 2012). 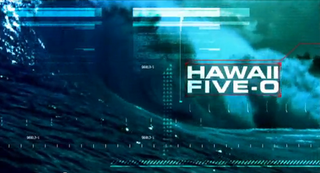 "Hawaii Five-0 Brings on Alex O'Loughlin's Old CBS Co-Star". TV Guide. 1 2 3 4 Biography. Hermosa USA (January 31, 2014). Retrieved on April 27, 2014. Wikimedia Commons has media related to Daniel Henney .